Brad Pitt Angelina's UN Ambitions ... UN-Safe For Our Kids!! Angelina Jolie is so obsessed with becoming the head of the United Nations ... it caused major marital issues with Brad Pitt. Sources close to the couple tell us ... Brad became increasingly upset over Angelina's political ambitions ... we're told her dream is to become the top UN official ... she was never specific. Toward that end, we're told she has 2 political advisers and a "war room" to help with decisions and image. 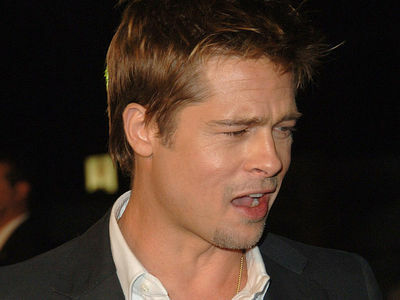 Brad, we're told, was especially upset that Angelina had taken the kids to various war-torn countries, including Lebanon and Iraq. We're told Angelina would always make sure to bring a security team that was the best of the best on her trips ... but for Brad, it still wasn't enough. We're told things got extremely tense when Brad and Angie argued over taking the kids to Syria to help rebuild the war torn country..
Our sources say Brad was always supportive of Jolie's solo charity work, but travels with the kids became a bone of contention for several years.